Stitches in History is a fictional non-fiction book series focused on the culture and history of Native American tribes. Each jacket features a design and colors representative of the tribes beadwork and people. 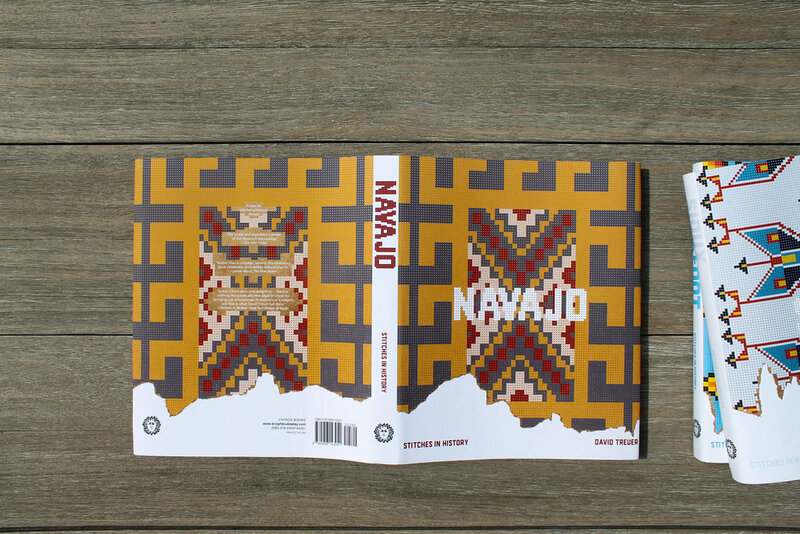 The addition of a tattered, worn effect is meant to not only symbolize the turbulent history of Native Americans, but also the strength and resilience these indigenous people have.